Agnès (Homepage) wrote: Beautiful winter capture, Paolo! Interesting, this tree almost buried in snow. BoB (Homepage) wrote: Semplicemente elegante. joshi daniel (Homepage) wrote: dreamy and lonely! 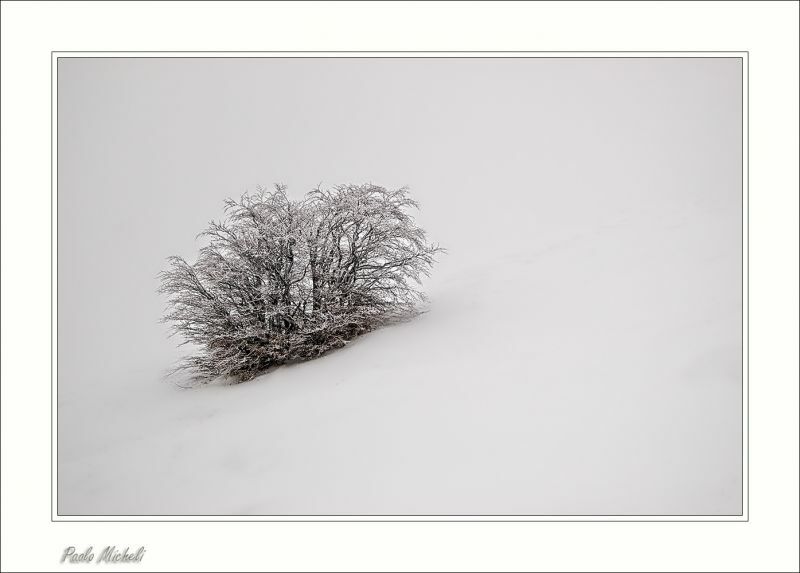 Andy (Homepage) wrote: Love the whiteness to this image and the lone tree! Beautiful composition! Arnd (Homepage) wrote: Nice peaceful mood and fabulous soft light! Great b&w tones! Will (Homepage) wrote: Brilliant shot for current climate all over many parts of the Northern hemisphere. Could be the lead shot in any number of magazines or newspapers. Albert (Homepage) wrote: Wow!! Nice winter shot, Paolo.